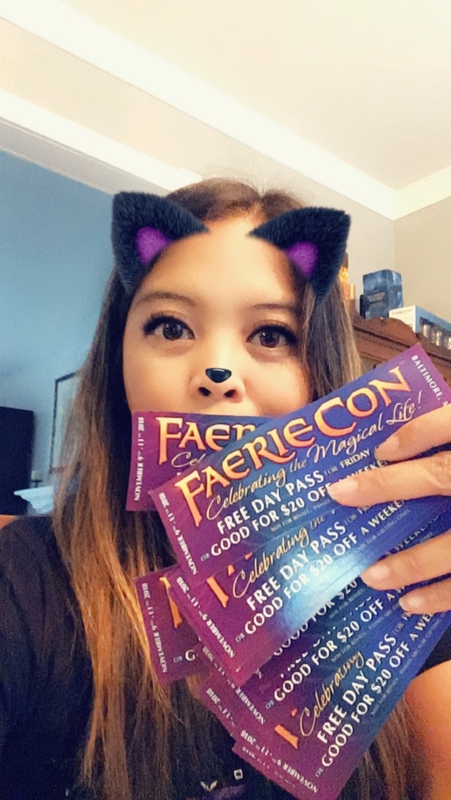 Guess who’s going to be at Faerie Con this year?! It’s all going down November 9-11 in Baltimore, MD. I’ll be signing copies of Uniting the Heavens whilst engaging in all sorts of merriment! I’ll also be attending the masquerade balls on both Friday and Saturday night! It’s going to be so much fun, and I’d love for you, my loyal fans, to join me! I’m giving away FREE DAY PASSES good for Friday or Sunday, OR $20 off a weekend passport. All you have to do to get tickets from me is post a comment below letting me know how many tickets you need and why you’d love to go! Older PostTime for Small Press Expo 2018!